Hello! I’m Jamie Smith from our Mount Eliza office. You probably already know that if your carpets don’t undergo regular cleaning by a professional carpet cleaner they’ll become damaged permanently with unsightly stains, traffic lanes and discolouring.But there’s an even more urgent reason to ACT NOW!Unclean carpets can also pose a health risk to you and your family exposing them to hrmful air pollutants that creates the perfect environment for asthma, eczema, rhinitis or allergic attack. 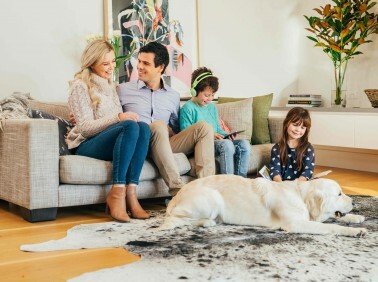 The sophisticated Dry-Touch carpet cleaning system used by Mornington’s MyHome Carpet Cleaning Services will clean your carpets leaving them dry enough to walk on in just one hour. In fact, your carpets will be hygienically clean and rid of fungi, bacteria and mould because the solutions we use are infused with Healthguard. Also, your carpets will be restored to their original balance of softness and brightness without any annoying chemical or wet carpet odours. However, they will have a light, lemon fresh fragrance. 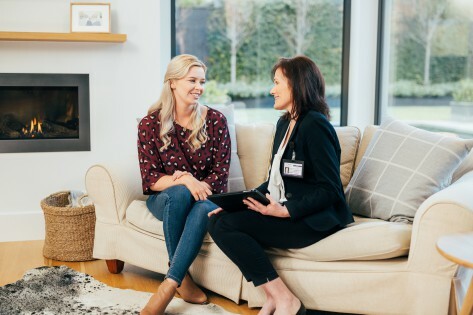 MyHome Mornington cleaners are proud that they can offer carpet cleaning that will not stretch or shrink your carpets because MyHome does not excessively use hot water, too much water, or harsh chemicals. A thorough vacuuming is completed at the beginning of our service to ensure the best results. Folks in Mornington choose to lay carpet in their houses for a number of reasons. This includes creating a warmer cozier environment in their living spaces. They also enjoy the different designs, materials, colours and styles that carpet comes in. Carpeting also saves money on energy bills while keeping the children and pets warm and safe. You will need to arrange for routine professional cleaning to help keep your carpets smelling good and looking as fresh as they were on the day they were installed. Professional cleaning services like MyHome Carpet Cleaning Mornington ensure that your rugs and carpets remain healthy, clean and fresh for your family. This will certainly protect your investment by making it unnecessary to replace your carpet frequently. With our revolutionary Dry-Touch Cleaning system, MyHome lengthens the amount of time your carpets will last and they stay looking and smelling fresh throughout their life. Some people are amazed that MyHome can do all this without soaking carpets in litres of water, but it’s true. On top of that, you can walk on them in an hour. Our confidence is so high that you will be entirely satisfied with MyHome Mornington Carpet Cleaning service that we offer this guarantee. If you are not fully satisfied with our service, we will come back and clean your carpets again at our expense! It isn’t true that cleaning carpets is an uncomplicated chore. Choosing the right carpet cleaning services in Mornington can take the complication out of cleaning your flooring. Choosing MyHome Mornington Carpet cleaning service is the best choice. That’s because our Dry-Touch system is unlike traditional carpet cleaning that relies on hot-water extraction (steam cleaning) that marries chemicals with hot water. This hot-water extraction system soaks carpets and leaves them with a damp residue that serves as a magnet for dirt along with a wet carpet and chemical smell.